Royalty-free stock illustration of a mythical creature composed of the parts of more that one animal. 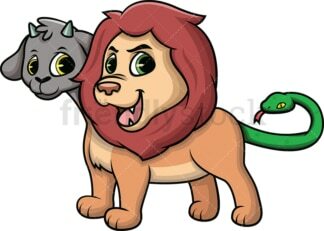 Depicted as a lion, with an extra head of a goat and a living snake as a tail. Royalty-free stock illustration of Cerberus, a fierce multi-headed dog guarding the Underworld to prevent the dead from leaving. 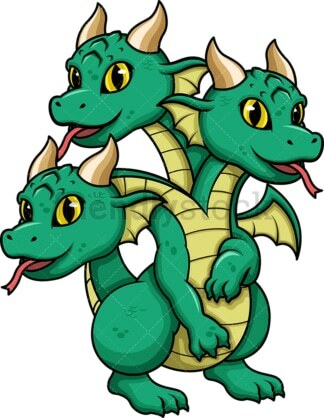 Royalty-free stock illustration of the Lernaean Hydra, a serpentine multi-headed monster that was slayed by Hercules who used sword and fire to stop the Hydra’s heads from growing back. Royalty-free stock illustration of Echidna, a monster that is half-woman and half-snake who, according to Greek mythology, lived alone in a cave. Echidna was the mate of Typhon, a fearsome creature. 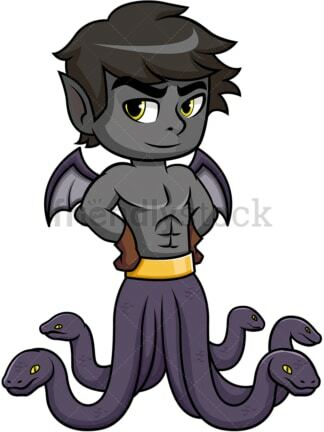 Royalty-free stock illustration of Typhon, a serpentine monster and the most deadly creature in ancient Greek mythology. 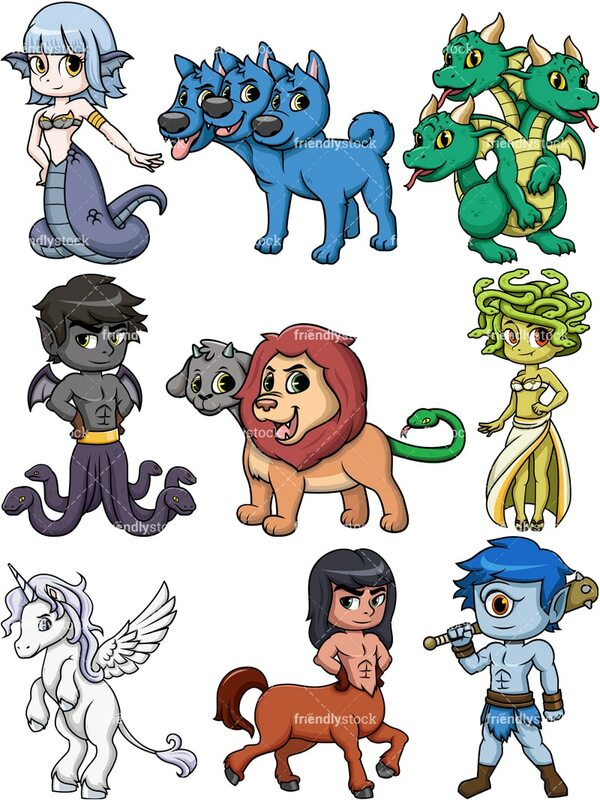 Typhon was the mate of Echidna and the two gave birth to many famous monsters. Royalty-free stock illustration of the Medusa, a female monster with living venomous snakes in its head instead of hair. Medusa could turn men into stone until she was beheaded by the Greek hero, Perseus. 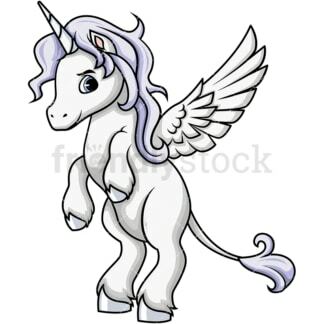 Royalty-free stock illustration of Pegasus, a mythical winged divine horse with distinct white color. Pegasus is the most recognized of all creatures in Greek mythology. Royalty-free stock illustration of a centaur, a mythological creature with the upper body of a human and the lower body of a horse. Royalty-free stock illustration of a cute one-eyed cyclops holding a bat on its shoulder.